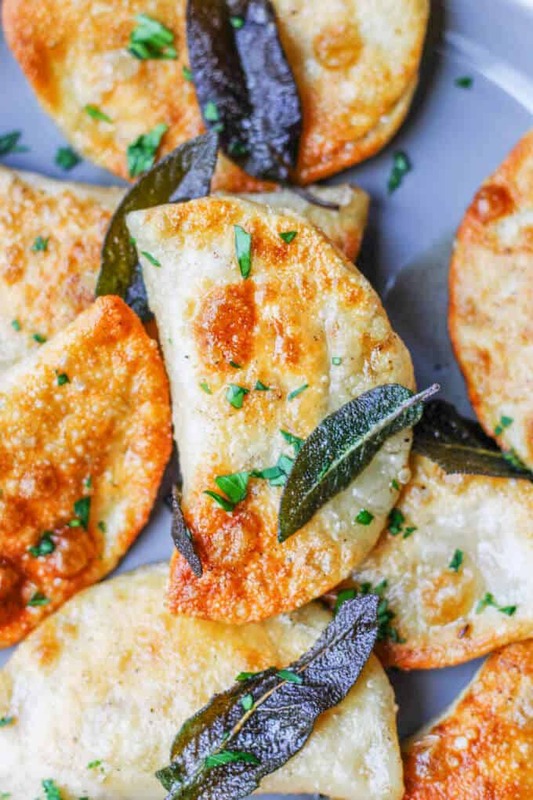 Roasted Butternut Squash Feta Pierogi with sage butter is an amazing dish that combines American fall flavors with a taste from the Greek islands, wrapped in Polish dough. Mind blowing…. I came up with this recipe for Roasted Butternut Squash Feta Pierogi because I independently love squash, feta and pierogi. I also was never adventurous enough to play with my classic pierogi. Every year, for the holidays, I would always stick with tradition. 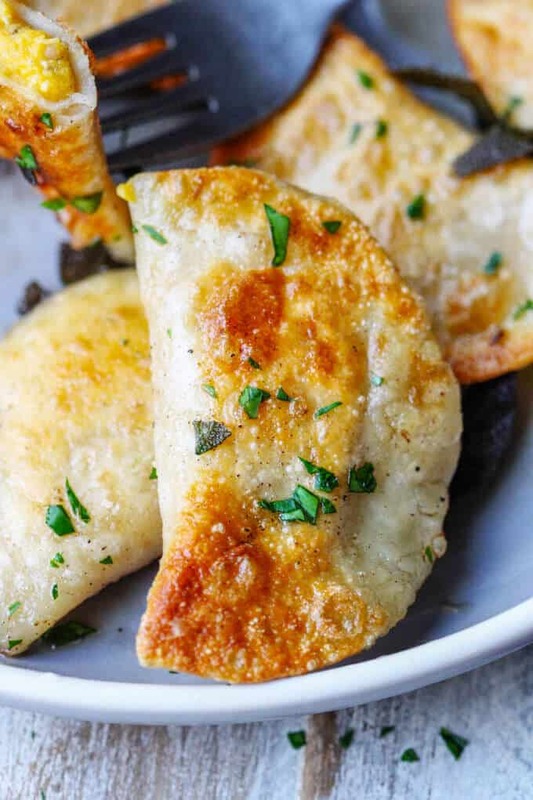 The two varieties of pierogi that I make all the time are: Authentic Polish Pierogi with Potatoes and Cheese, and Sauerkraut Mushroom Pierogi. So this is really developmental for me. And I must admit that I really do like these pierogi. With this seed planted, I do have a couple of ideas for my future pierogi adventures, but I will keep them a secret until I actually test the recipes. These Roasted Butternut Squash Feta Pierogi came out super delicious. 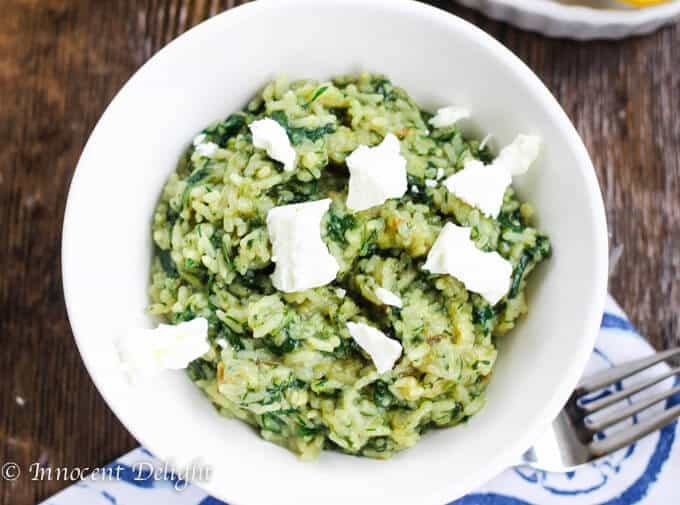 They have the right amount of sweetness from the squash with the perfect amount of saltiness from the feta. 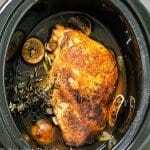 I also filled them with dried thyme and onions too to really elevate the fall flavors. I showed how to make the dough from scratch in this post for Sauerkraut and Mushroom pierogi. For this batch I actually put flour with hot milk, hot water and melted butter into the bowl and work the dough in there until it was elastic enough to create a streached ball. Then I cover it with the bowl and let it sit for half an hour before rolling it out into batches, cut the rounds, fill them up with the dough and boil. The filling is very simple. 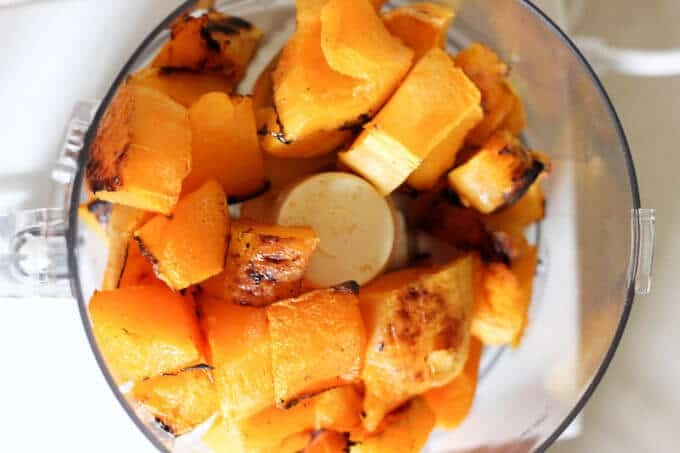 You just need to give yourself some extra time as the squash needs about an hour to roast. 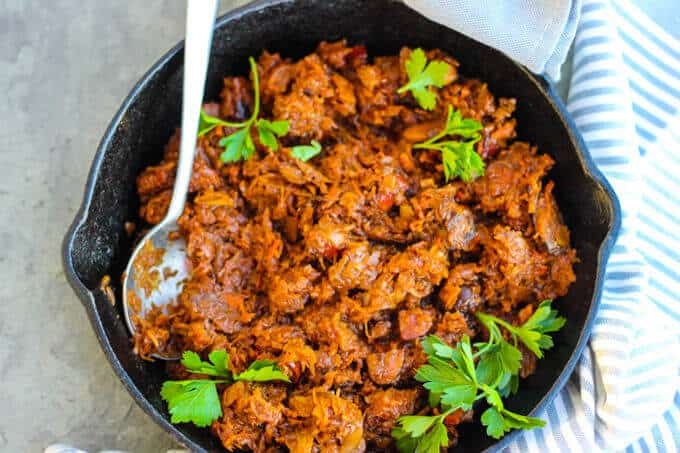 Then it needs to cool off slightly before you can handle it and cut up in the food processor (affiliate link). In the meantime you will have to sauté some onions with dried thyme. 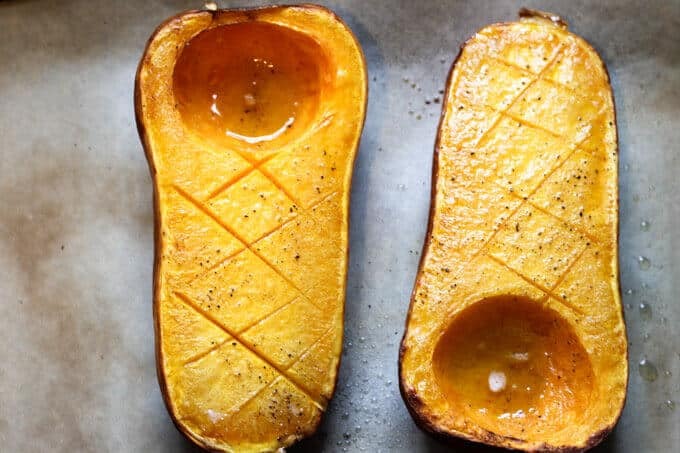 Once the squash is cool, in a few minutes you’ll have your filling. 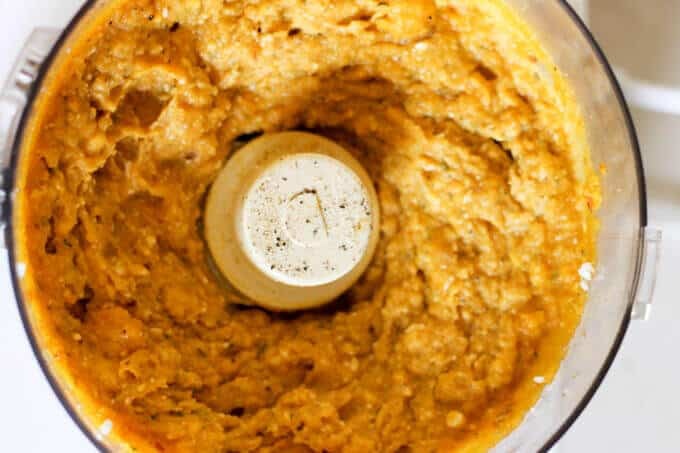 First add squash to the food processor (affiliate link) and process it for a minute until almost smooth. 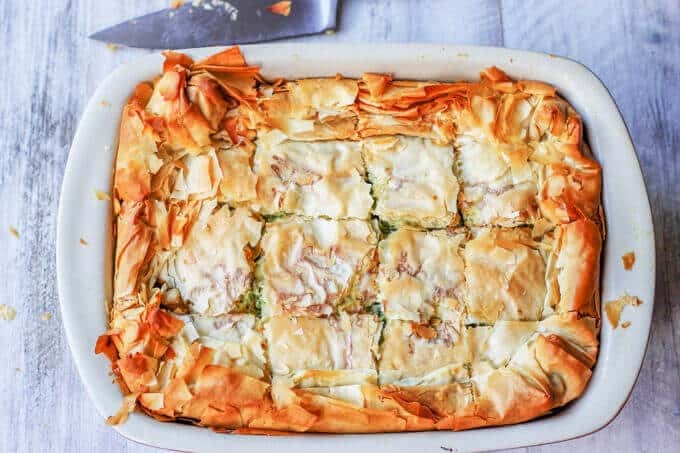 Add your mixture of onions and feta and pulse few times, until incorporated but still having texture. Taste for seasoning and you are ready to fill up your dough and assemble pierogi. To boil the pierogi you will need a pot of generously salted boiling water. Think about the saltiness level as you would do for cooking pasta. They cook pretty quickly. 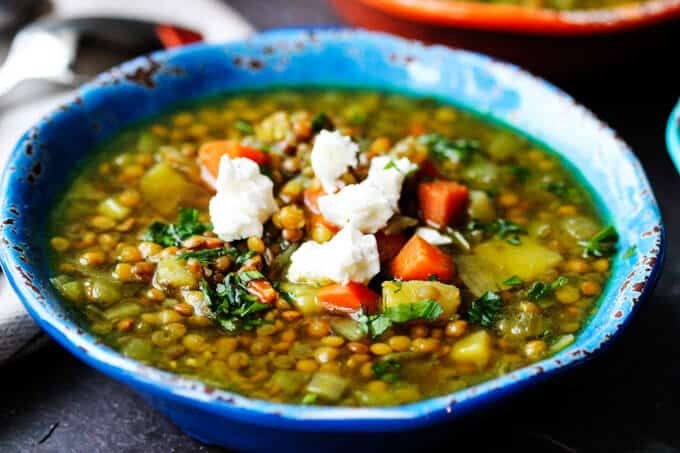 Don’t overcrowd them – don’t cook more than 8-9 at the time. Once they come to the surface, boil for another minute and then take them out. I served these Roasted Butternut Squash Feta Pierogi with fried sage and sour cream, but my husband made a valid point: bacon would’ve been a nice addition. I give credit, where credit is due….he’s right (& he does savor those moments). I use it for my potato pierogi but for the squash ones I decided to go with just the sage. But bacon really makes dishes taste better, so by all means, fry up some bacon bits if you feel like it. 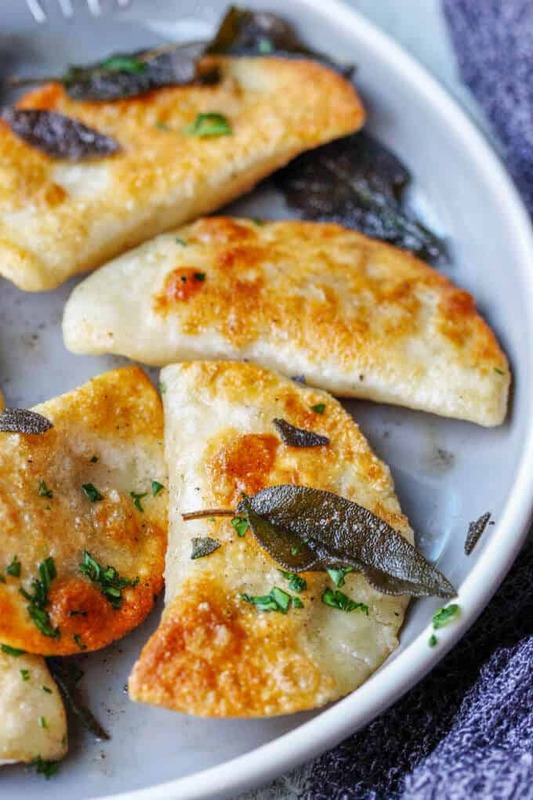 They will work great with this Roasted Butternut Squash Feta Pierogi recipe. You can serve these Roasted Butternut Squash Feta Pierogi simply boiled, as instructed above, or fried up after boiling. (That’s what I did here). If you decide to fry them up, you need to first make sure that they are dry, otherwise, the fat from the pan will splash out. 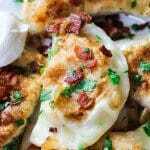 If you decide to fry them – take the pierogi out on a baking sheet or straight on your kitchen counter and let them dry out on one side first then flip them on a dry surface and let them dry on the other side. 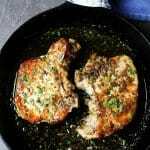 Heat up butter with olive oil in a pan fry some sage first. Then after you take the sage out, add pierogi and fry them for a couple of minutes on each side until golden brown. You can add a splash of water at the end and cover them up for a minute to achieve a similar effect as Japanese pot stickers. 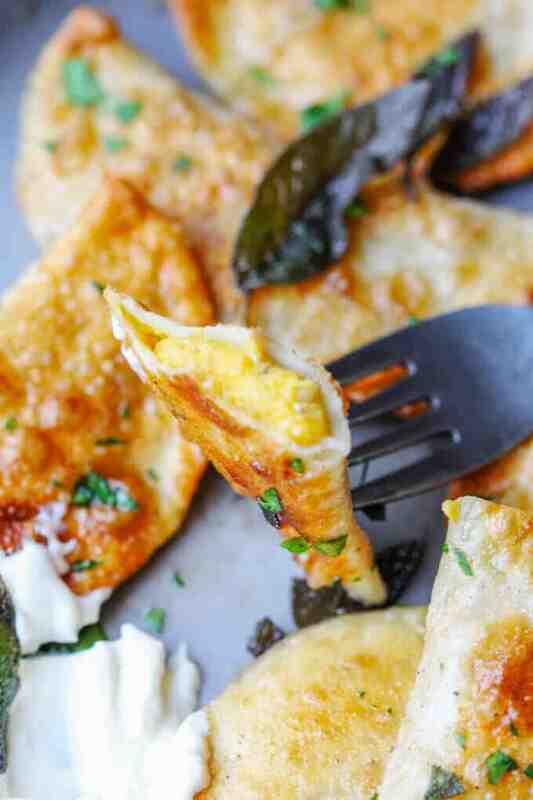 If you chose to forego frying, you can serve them boiled with just fried sage and sour cream. Whether boiled or fried now you are ready to serve this amazing Roasted Butternut Squash Feta Pierogi. Enjoy. 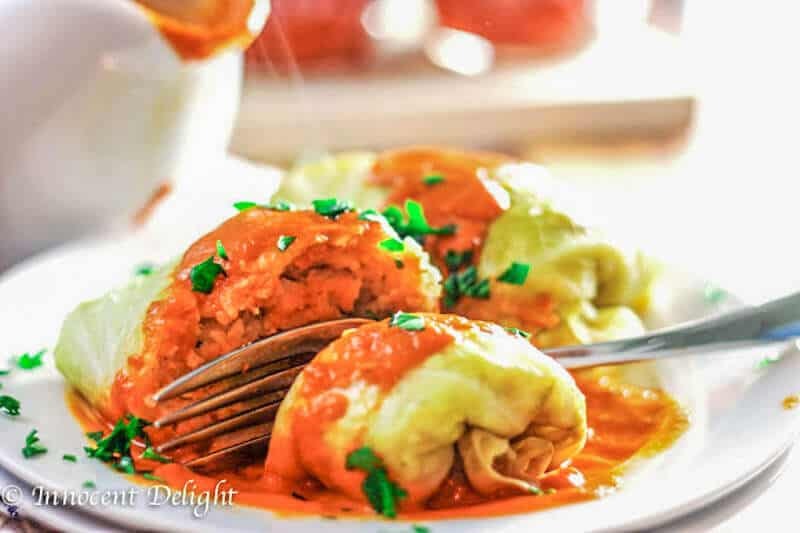 Roasted Butternut Squash Feta Pierogi is an amazing dish that combines American fall flavors with a taste from the Greek islands, wrapped in Polish dough. 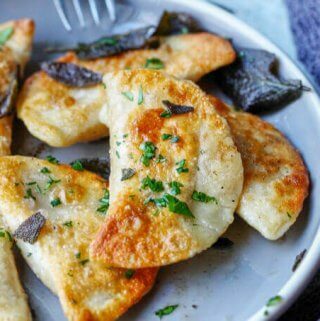 If you want to fry them like I did here, dried them up first and then use the same pan that you used to fry sage and fry pierogi on each side until golden brown for about a minute. Add extra fat if needed. Serve with sage on top. If you are not serving pierogi immediately, take them out from a boiling water on a counter and let them cool down and dry a little bit. Make sure that they are not touching each other. Once cooled, place them on a baking sheet, again with distance from each other, place in a freezer and let them freeze. Once done, you can pack them in the plastic bag and freeze for up to two months. 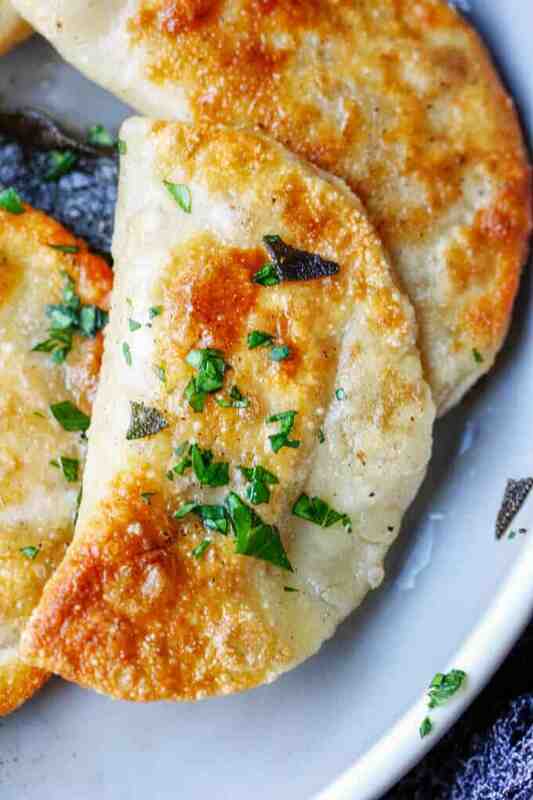 You should get about 40 pierogi out of this recipe. If you serve them all at the same time you may need to adjust the amount of the topping. The amount of Sage with butter and olive oil in this recipe should be enough for about 20 pierogi. I like to serve my pierogi with a side of sour cream but this is optional. You can also cut up two slices of bacon, cook it and sprinkle it on top of the pierogi. 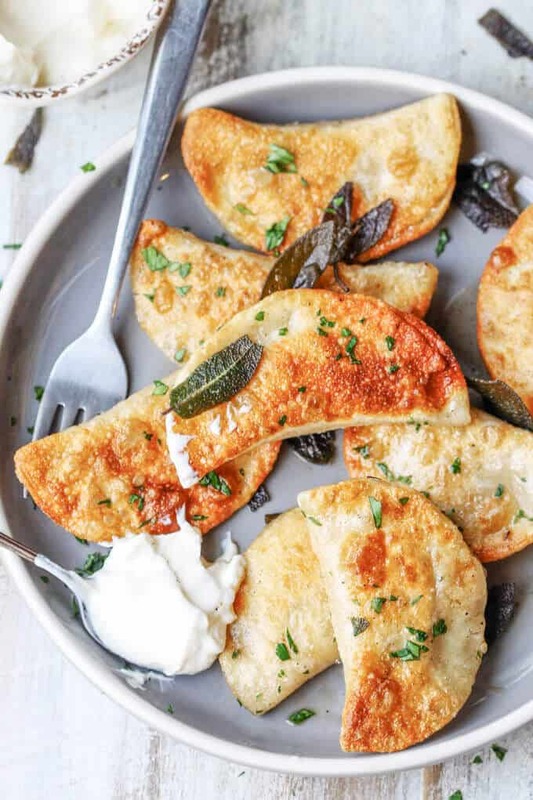 The roasted butternut squash and feta filling in these pierogis sound so incredibly delicious! Plus the crispy outsides look so good. I think I can eat a dozen in no time at all. Wow, that really is fushion food! Great mix of flavours, I bet they taste delish! These sound so yummy! 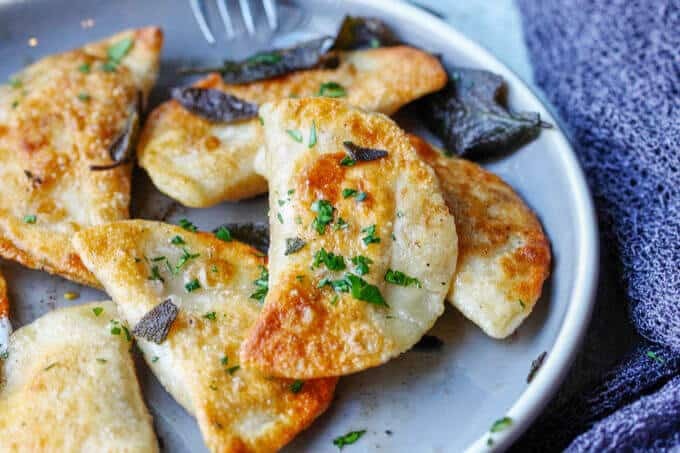 I have had perogies on my list of things to make for ages! I love your husband’s idea of bacon, too! I mean what isn’t better with bacon?? These look so delicious and pretty! 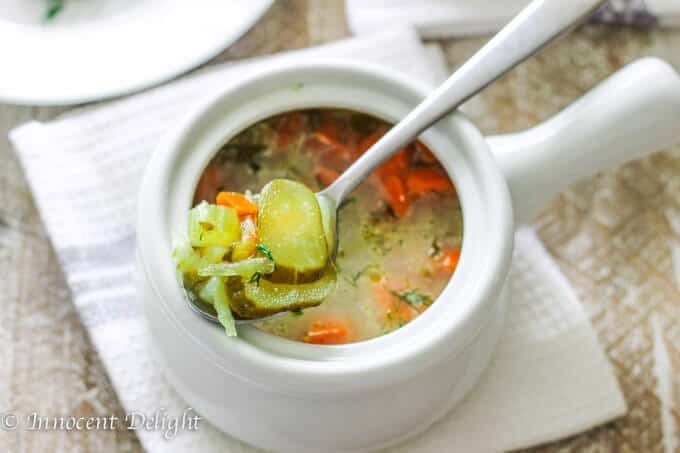 I am saving this recipe to make for the holidays!